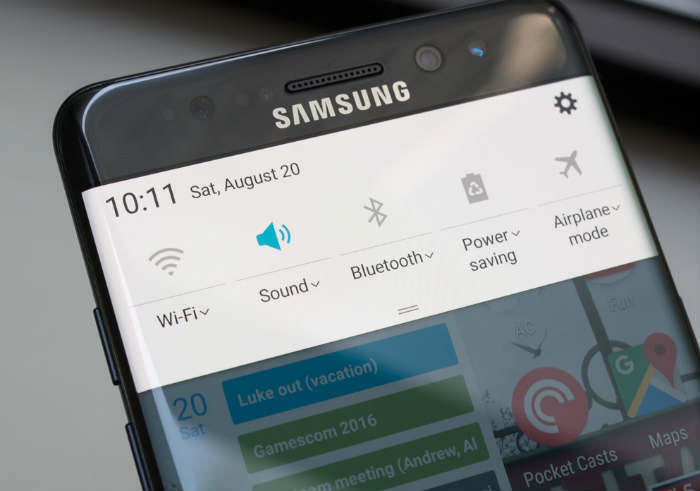 Connecting to the Internet through a Wi-Fi network should be easy for the #Samsung Galaxy Note 7 (#Note7). But what would you do if your new phone won’t connect to a Wi-Fi network it used to connect anymore? We will try to answer such question in this post and the troubleshooting procedures we present here will be based on situations users are in. We believe that every problem reported by our readers is unique even if they show the same symptoms. There are 4 Wi-Fi problems I addressed here so take time to read this post especially if you own the new Galaxy Note 7 and are having issues connecting to the internet via WiFi. For those who have other concerns, visit our Note 7 troubleshooting guide as we’ve already listed down the problems we already addressed. If you need further assistance, you can always contact us by completing our Android issues questionnaire. It’s a free service so don’t worry about anything, however, we’re asking you to provide us with detailed information about the problem so that we can provide a more accurate solution. Reboot your network equipment – this includes your router and modem. This procedure will refresh your home network and rule out the possibility that the problem was caused due to network equipment that froze for some reason. Reboot your phone – there’s a possibility that the problem is caused by one of the services that crashed in your phone. A reboot should be able to fix it easily as default services will also be restarted. Forget the network and reconnect – this is the best way to refresh the connection between your phone and your home network equipment. What you need to do is delete or “Forget” your home Wi-Fi and then allow the phone to scan for it and reconnect to re-establish the connection. It’s a simple procedure but very effective in dealing with problems like this. Using the Volume Down button, highlight the option ‘wipe data / factory reset’’ and press the Power key to select it. Press the Volume Down button a few times to highlight ‘Yes — delete all user data’ and press the Power key to select it. It may take a few seconds to complete the reset so just wait. If you’ve been a smartphone users for years, you may have already encountered a problem wherein the phone would try to acquired an IP address while attempting to connect to a Wi-Fi network but instead of showing “Connected” it would show “Saved” and leave your phone without a connection. What’s more frustrating is when you used to connect to the network before. The most common cause of this problem is that your login credentials no longer work for said network. In other words, the admin may have already changed the password. So, you need to ask for the new one and that should give you access to the network. While this could happen to just any devices, more often it occurs to phones that already saved the network. On the other hand, if the admin didn’t change the password, then it could be that the connection between your device and the network needs to be re-established. That said, “Forget” the network from your phone and allow it to detect and reconnect to the same network. You will be asked to enter the password so make sure you have it with you. Another issue you may encounter is slow or no connectivity at all even if the device is properly connected to the Wi-Fi network. This problem can be manifested by different issues like when apps cannot pull down updates when the phone is idle. For some that are using Wi-Fi calling, the calls will be disconnected when the screen turns off during calls. It may appear like a serious issue but it’s actually just a matter of setting the phone to stay connected even if it’s idle. You can find the settings in the Wi-Fi Advanced Settings menu. Find and tap Settings, then touch Applications. Find and touch the Google Play Store. However, if you also can’t browse, then it’s a connection issue. You may reboot your phone and your network equipment to find out if the problem gets fixed with that. If not, try to forget the network and then reconnect. It would also be recommended to troubleshoot the problem in safe mode to rule out the possibility that your third-party apps have something to do with it. Turn your Galaxy Note 7 off. If the problem still happens in safe mode, then backup your data and reset your phone. Ever since Samsung added the Smart Network Switch feature to its flagship devices, we received a lot of complaints after Wi-Fi randomly disconnecting and triggering the mobile data to be used as medium in connecting to the internet and vice versa. The Smart Network Switch feature is to make the phone smarter and always connected but it seems to be causing a lot of trouble than help. So, I suggest you disable Smart Network Switch and let Wi-Fi or mobile data connect to the network steadily. Frequent disconnection from one network and the connection to the other due to fluctuation in signals could cause connectivity issue; instead of having a backup connection, your phone loses both. Hence, your phone becomes dumber than smarter, right?